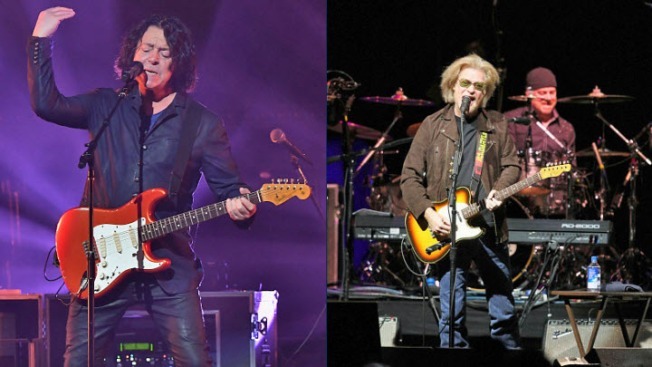 A postponed concert featuring Daryl Hall and John Oates and Tears For Fears at SAP Center in San Jose has been rescheduled for Sunday, Sept. 17, arena management said Tuesday. The show, originally scheduled for July 25, was postponed in the eleventh hour due to a Tears For Fears family emergency. No details about the emergency were provided. The bands also rescheduled dates in Los Angeles originally scheduled for July 28-29. Those shows will take place Sept. 14-15 at Staples Center. The San Jose show will be the bands' U.S. tour finale. All tickets for the original dates will be honored on the new dates, and those not able to attend on the new dates will be eligible for refunds, according to Sharks Sports and Entertainment, the operators of SAP Center.